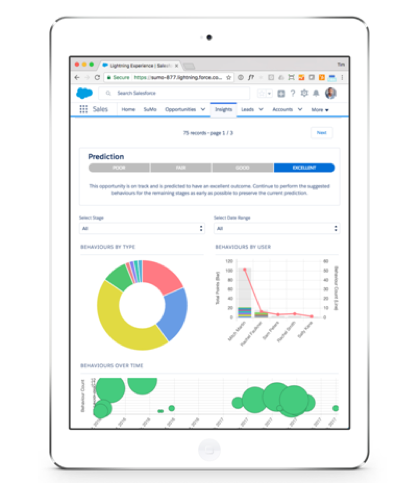 CloudApps increases sales performance through SuMo, a cloud-based app built on the Salesforce platform. Their development team deliver multiple product updates throughout the year driven by customer demand. Due to the seamless nature of upgrades their customers are able to enjoy this constant innovation at no extra effort. Q: Could you provide our readers with a brief introduction to CloudApps? These are the challenges that SuMo is solving for customers such as Vodafone, Roche, UBM, SIG, Post Office and many more. You can watch a demo of SuMo in action here. Q: How exactly does SuMo help increase sales performance? There’s a science to winning, why would you leave it to chance? SuMo replaces the outdated sales management approach of gut-feel, intuition and guesswork that simply doesn’t scale. How does it work? SuMo continuously improves deal health by automatically monitoring and coaching high-value, winning sales behaviours. This is an approach we like to call moving the middle and it’s the fastest way to increase your sales performance. Q: Who is SuMo for? Q: Why do they love SuMo? Q: What advantage does SuMo have over its competitors? Competitive solutions typically focus only on ‘sales motivation’ and ignore ‘sales performance insight’. We have always found this rather puzzling. We have long since believed that you need insight into the current performance of your sales team in order to know what to motivate more of! Competitive solutions also focus on just motivating more “sales activity” i.e. making more sales calls. This is a very poor way to drive revenue growth. For example, I could make 100 calls in a day and hit 100 voice message machines. Not exactly winning sales activity! However, consider a sales call that lasted more than 10 mins, to a senior exec title, who is a decision maker for a deal that is forecast to close this month. This is a high-value sales behaviour that I would want to see my sales team exhibit more of. These high-value behaviours are often complex in their nature and usually time bound. These are the behaviours that SuMo tracks and motivates. Known as Leading Sales KPIs (because they are the metrics that define the success of the outcome), these KPIs span the sales process and define the right path to sales success. Leading KPIs complement lagging KPIs which are rear-facing and hard to influence. Most sales organisations incentivise to the lagging KPI of closed revenue but tend to neglect the leading indicators. 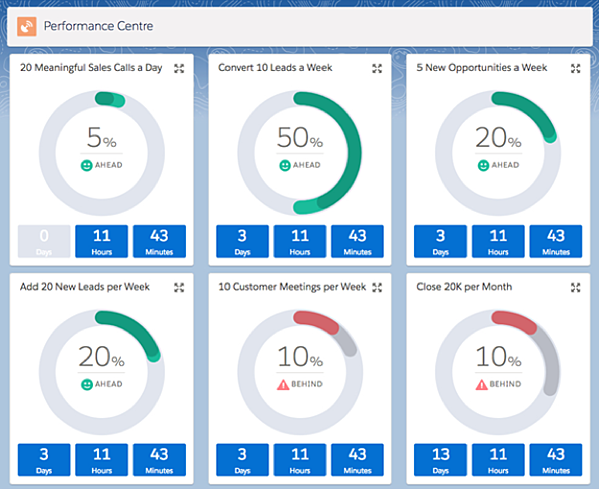 Some of our customers use SuMo to track what is happening in their sales team. This allows them to generate sales performance data that is not otherwise accessible. This insight exposes which reps adhere to the sales process, uncovers exactly what top performing sales reps actually do and highlights where friction points in the sales process are. This is SuMo Insight. Some of our customers use SuMo to motivate more of the complex “winning” high-value sales behaviours. This is SuMo Motivate. Most of our customers use SuMo for both. By doing so, they create a continuous cycle of improvement that iterates between ‘sales performance insight’ and ‘sales improvement action’. SuMo is a cloud-based app that is built on the Salesforce.com platform. Our development team deliver multiple product updates throughout the year driven by customer demand. Due to the seamless nature of upgrades our customers are able to enjoy this constant innovation at no extra effort. A recent example of this is the release of SuMo Predict. This capability uses machine learning to deliver a predicted outcome for each and every deal in the pipeline. 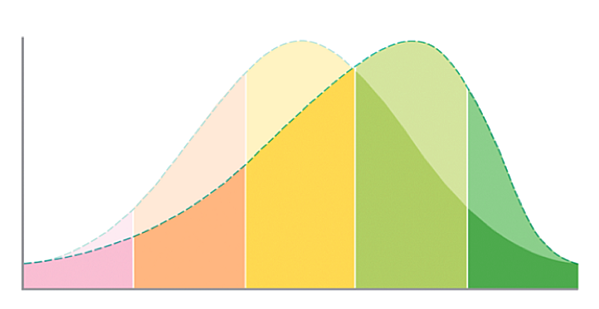 This outcome is based on the profile of a ‘typical deal’ that SuMo learns about by crunching historical deal data. The predicted outcome is then measured against a template of the high-value sales behaviours that should have been applied to the deal through each stage of the sales process. The result is an early-warning system that shows the health of every deal at that precise point in time. This allows for deals that are straying off track to be identified early and corrective action applied. Most importantly, SuMo Predict takes the extra step for you. SuMo highlights the reasons why the deal has strayed off track making it easy to understand the corrective action that should be applied. Smarter Coaching & Stronger Predictions. By deploying Artificial Intelligence to uncover, suggest & apply new working practices. Increased User Engagement & Motivation. Pushing ‘Motivational Mechanics’ to the next level by deeply incorporating sales psychologies into the SuMo motivational framework & mechanisms. Interview originally published on SuperbCrew. Want to chat to David directly about improving your sales performance? Start getting more from your Salesforce investment today. You can book a personalised demo here.